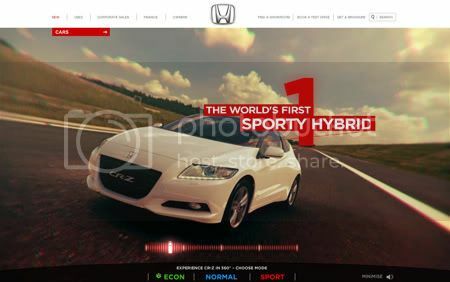 Some of my Colleagues here at collective have been busy of late, producing the latest campaign for Honda's new sporty hybrid coupé, the CR-Z. 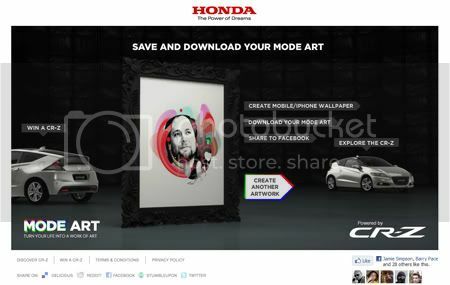 The first part to the campaign is an application developed for Facebook called Mode Art. 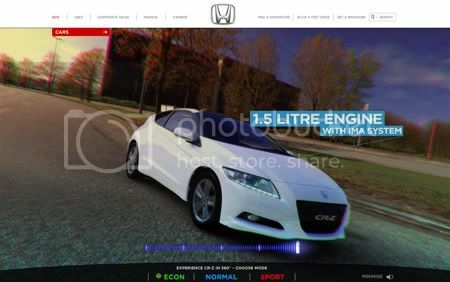 The app allows users to turn their profile pictures into a unique work of art, to match the CR-Z's three driving modes: sporty, econ and normal. 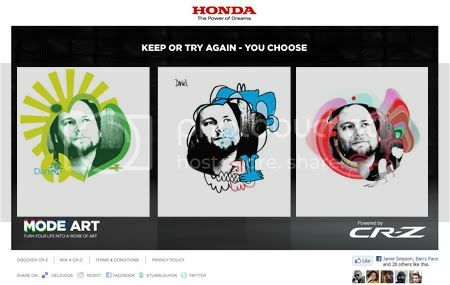 It was great as we got 3 illustrators to create a bank of design assets for each of the modes. Serge Seidlitz working with econ, Jon Burgerman working with normal, and Paul MacAnelly on Sporty. 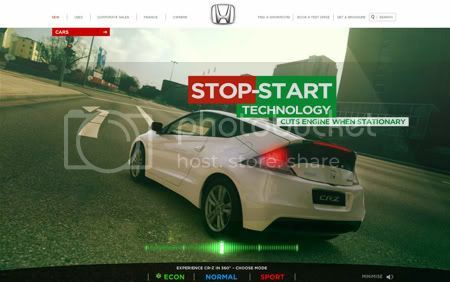 The second part to the campaign is an interactive 3D model of the CR-Z exterior that highlights its three driving modes.